The most active segment of our business currently is providing musical entertainment at weddings or other celebratory events. We are therefore very well equipped to handle this type of function. Whether it is an intimate affair in a restaurant with a limited number of guests or a no-holds-barred, everybody-is-there party bash in a barn or hangar, we’re up to the challenge. Even though it is extremely important to use top quality sound equipment to ensure sonic fidelity during the speeches and formal aspects of an event there is no denying that the most important part of the evening is the time after the dance-floor is declared open. You can have all the equipment in the world but if the DJ does not play the right music the dance floor will remain empty – and your party over before you know it. At Synergy Audio this is our main focus – to keep the guests entertained on the dance-floor whatever it takes. In order to achieve this you need to have an extensive knowledge of music (different genres, artists and song-titles) but more importantly a keen, almost instinctive, understanding of when to play the right song. Getting it right when it matters most. Sound System: 2 stand-mounted, powered speakers (1500 Watt), professional mixer and CD-player, wireless microphone. This system will adequately fill a small to medium-sized venue – 85 to 100 guests. Lighting: 2 compact, sound-to-light (or manual program) professional laser effect lights. Music: Access to 35 000 music tracks ranging from the 60/70’s to the latest hits as well as special DJ club mixes of current chart toppers. We also have an extensive Afrikaans Music collection. Song requests from guests are very welcome. DJ: The equipment will be delivered, installed and manned by one of our junior DJ’s who have all undergone thorough product training and are capable of handling any situation. They have a keen musical understanding and will play the right music at the right time. Cost: R 3 300.00. Cutoff strictly 24h00 – additional playing time @ R 400.00 per hour. General: Even though this is a budget package with fixed parameters small modifications can be implemented to suit your requirements. Price valid until February 2018. Sound System Reception: 2 stand-mounted, powered speakers (2000 Watt), 2 powered bass-bins (1600 Watt), professional mixer and CD-player, wireless microphone. This system will adequately fill a medium-sized venue – 150 to 200 guests. Sound System Ceremony: 2 stand-mounted, powered speakers (750 Watt), wireless microphone (headset or handheld), music playback facility. 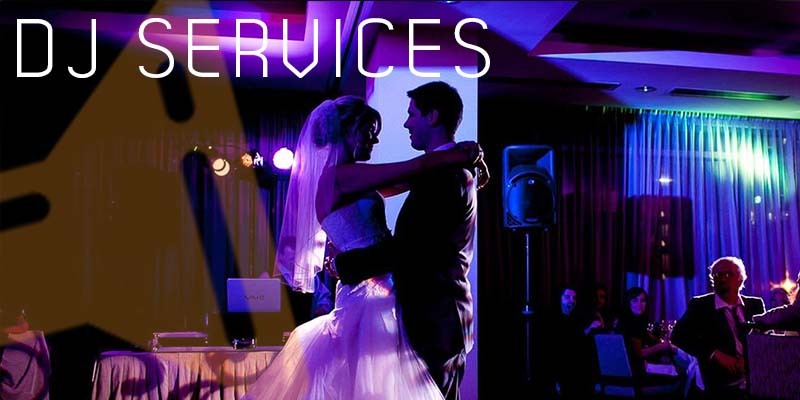 DJ: The equipment will be delivered, installed and manned by one of our senior DJ’s who are all qualified sound engineers with years of industry experience. They have a keen musical understanding and will play the right music at the right time. Cost: Contact us for pricing. Cutoff strictly 01h30 – additional playing time @ R 400.00 per hour. General: In summary: a totally flexible solution for all your audio/visual requirements. Satisfaction guaranteed!! Price valid until February 2018.